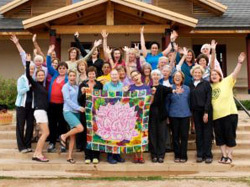 (2012) Courageous Women, Fearless Living is an annual retreat for women touched by cancer (those who have had the disease, their caregivers and family). To give participants community support, knowledge, and the contemplative training they need to better care or themselves and their families. This project is to fund the creation of a social networking website and associated resources that would be the basis of a path for retreat participants. 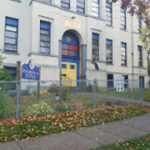 Through it they would share resources, access contemplative practices and talks, yoga videos, nutrition and recipes, and stay connected. It would enable courageous women to reach out to a larger population. Participants leave the retreat with newfound strength, new lifelong friends, the positive energy of self-discovery and an appreciation of a new way of approaching their lives.